POPS were established in Manchester and continue to be based in the city, developing strong partnerships with agencies throughout Greater Manchester across the private, public and charitable sectors. As part of our commitment to providing support services across the continuum of care we have built partnerships throughout the Criminal Justice System, working previously with local courts, prisons, National Probation Service, police, youth offending teams and drug and alcohol services. POPS work hard with our partners to place family support as an integrated part of the offenders’ journey through the Criminal Justice System. We believe in partnerships built on good communication and robust referral processes to ensure the best outcomes for families. The Intensive Community Order (ICO) is for clients aged 18-25 who are at risk of a 12 month or less prison sentence. The clients are given a Case Manager from the Communities Rehabilitation Company (CRC) who will work with them around their offending behaviour, a Mentor from The Work Company who will work with the client around education training and employment and they are assigned a Family Support Worker from POPS who will work with them and their family to make sure the family are receiving any support, advice and guidance that they require. 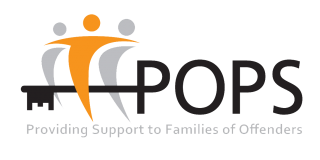 POPS are commissioned to provide four Family Support Workers to this service and they cover all of Greater Manchester, working with families on issues ranging from emotional support to debt/housing support and supporting families to link into and work with other statutory services. The Family Support Workers will make sure that the families’ voices are heard and will support them to become independent, as well as keep them informed on any issues that the client is facing. 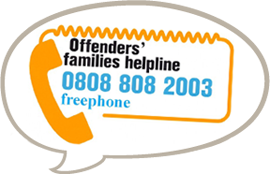 The Intensive Supervision and Surveillance (ISS) team are part of the Manchester Youth Offending Service and they work with high risk clients aged 10 – 18 years who have been given a Community Order whilst on bail or licence. The Order is a holistic approach in which the clients are assigned an Offender Manager who will work with them around their offending behaviour; they will work with a Mentor around their education and the POPS Family Support Worker will engage with the clients and their families. The Family Support Worker will work with families to provide support around any issues that they are facing, to encourage them to work with any statutory agencies involved and to make sure that their voice is heard. The Family Support Worker also facilitates and delivers a regular group work session with the clients around family relationships.